The air is cool and rain is moving in off the Adriatic soon. I can feel it in my fingers as I type. I said my goodbyes to Zagreb. We were not made for each other, thanks to a rocky start, but it ended well. Included in that end was a madcap wine-and-pate party I was invited to, a day spent walking 13 kilometres through graveyards and parks, followed by a lavish night at the opera. I’m glad I got some great memories at the end of it. 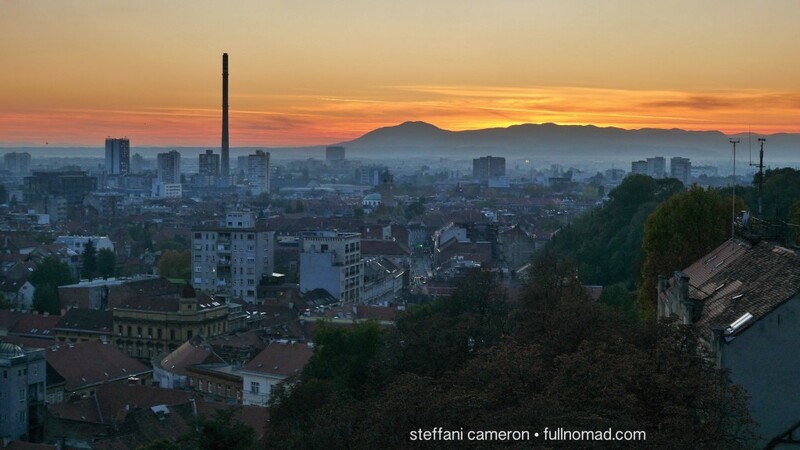 Sunset on my time in Zagreb, and the only sunset I saw in my whole time there — uncharacteristic, I’m told. I bused into Rijeka yesterday, where I’m staying with a Croatian family. I think I know what it feels like to stay with Italians now. It’s very similar. Doting, generous, and filled with food. Somehow, in the middle of it all, I’m supposed to work, which makes me laugh. As if. Call this the rocky education part of what can, and cannot, be achieved as a digital nomad. Working in a hostel followed by trying to work around a family who keep wanting to know if NOW I want a coffee, or cookies, or tea, or… Ahh, a challenge, indeed, but a lovely one. 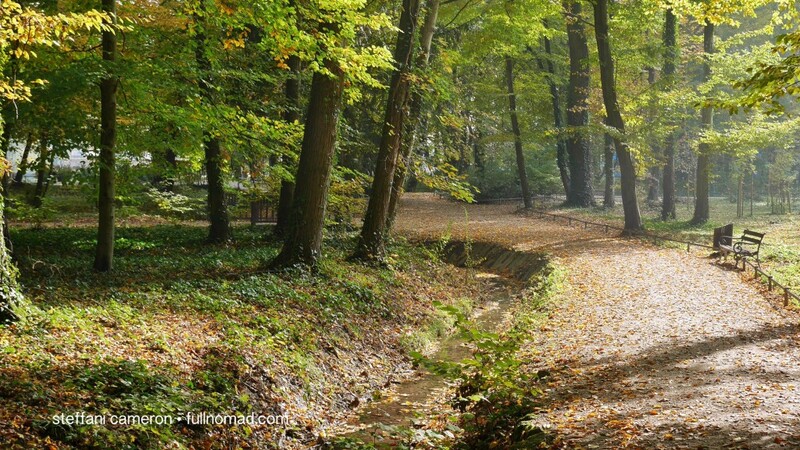 A lovely day for a walk in the prized park in Zagreb — 221-year-old Maksimir. Tomorrow I’ll hop on a bus and head to Krk, said to be Croatia’s most beautiful island, where I’ll stay with yet another family, this time a connection from a high school friend so many years ago. This area is a heady mix of Croatian and Italian influences, Roman ruins, Venetian architecture, and remnants of Ottoman overlords. I’m told the river, which is what “Rijeka” means, once was the dividing line between the Italians and the Croatians, but after World War II, it was handed over to Yugoslavia as reparations, and today some Italians still remain, as does their culture and influence. 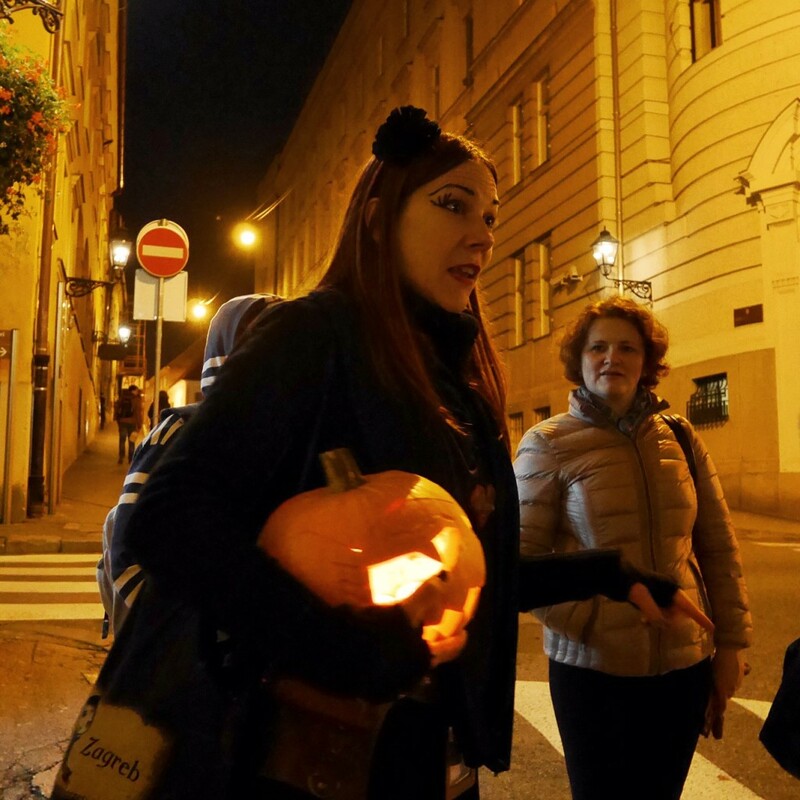 I met some great Zagreb folks, like Iva here from the Ghostly Walks tour put on by Secret Zagreb. She’s a passionate historian, so you’ll learn neat stuff. It’s a popular area with artists, writers, and others, for its open-minded and accepting ways, I’m told. Gay rights parades? Totally fine. Serbians? Come on in. Muslims? Not a problem. I saw actor Rade Serbedzija here in Rijeka at the seafood restaurant I dined in last night, who is apparently a highly regarded local personality and actor — and someone I’ve loved in everything from the The Saint to Harry Potter to Downton Abbey. But it’s in this star-spotting that I’m learning the older generation still has very hard feelings about the war in the early ’90s. That’s one of the things that brings me to Croatia, though — this age of recovery. It’s a “new” country but with ancient culture and old wounds. It’s a fascinating place to see at this particular crossroads in time. Opera at the Croatian National Theatre! A beautiful Baroque theatre built in 1895. In a few days, I’ll be back on my own and I’ll be alone-r than I’ve ever been, because I’ll be staying in a medieval loft with a population of only around 600 people in the surrounding village I’m staying in. The actual area around town has a whopping 1,000 souls. There, I will be thrilled to write and get a sense of where my head is at. My travels so far have been more comedy than inspiration. It is a tale writ large with a stolen coat, a missing coat, cockroaches, me taking a nasty fall, and all kinds of other bad luck that eventually got the better of me and convinced me to change my scenery sooner than later. So, I left Zagreb after 18 days instead of 22. I got lost and it turned into a great walk. As they do. But I’m not bitter about it. I had no moment where I cursed Zagreb or hated it. In fact, despite all the stupidity, I’m proud to say I found ways to enjoy myself and the city too. That’s travel, though. It’s learning about yourself 24/7. It’s overcoming the big things, little things, and everything in between, even when just a few weeks into it, like me. The terrific thing is, that with the right attitude, it’s possibly to find great moments in among all the crappy ones. Got cockroaches? Get the hell out and walk. Having a crappy day of rain? Find a nice cafe to read in. Opening doors is the way to go. 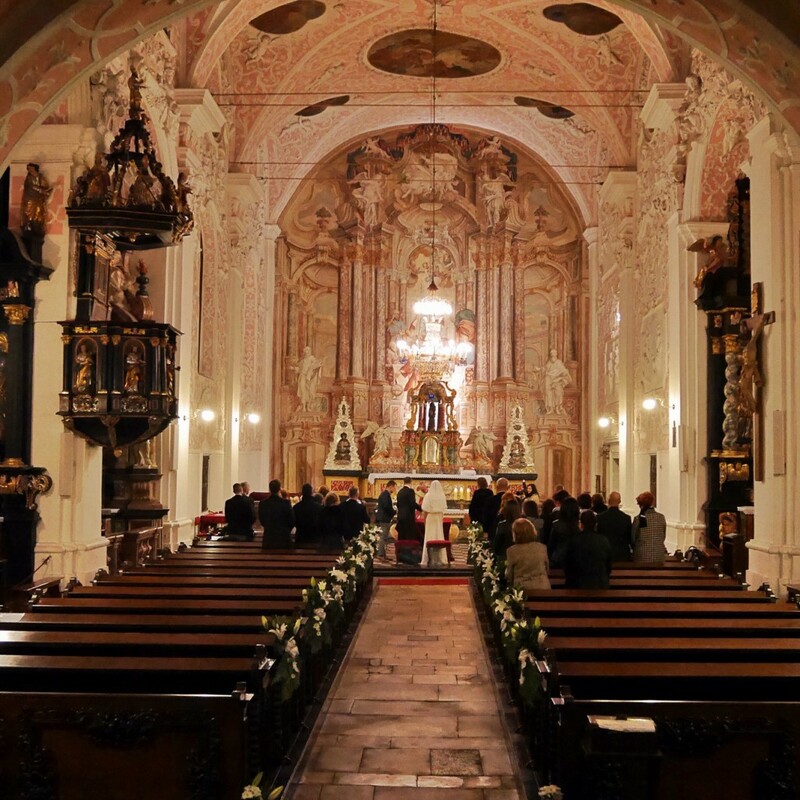 Sometimes you’ll spot an amazing wedding or something, like this, in Zagreb’s St. Catharine’s Church. In the end, I had paid out a total of about $2,000 for lodgings in my first three weeks, but I got a whopping $1400 back from AirBNB after substantiating all my complaints. My opinion on AirBNB is that they’re fantastic. Want to try AirBNB out? Join through this link and you’ll get a credit — and so will I! When things kept going sideways, I moved to a hostel for a couple nights, then I contacted some people I know in Rijeka and managed to score some couchsurfing, and then I got more couchsurfing lined up in Croatia’s much-loved island Krk. All of a sudden, I’m seeing more of Croatia and getting a better sense of its people, because I’ll be staying with two different families and seeing what family life is like. So far, I’m being killed with kindness as this matronly old Croatian grandmother keeps asking if I want more to eat — more tea, more coffee, more, more, more. She’s very sweet. It’s certainly affirming my perception that Croatia is filled with Italian influences. 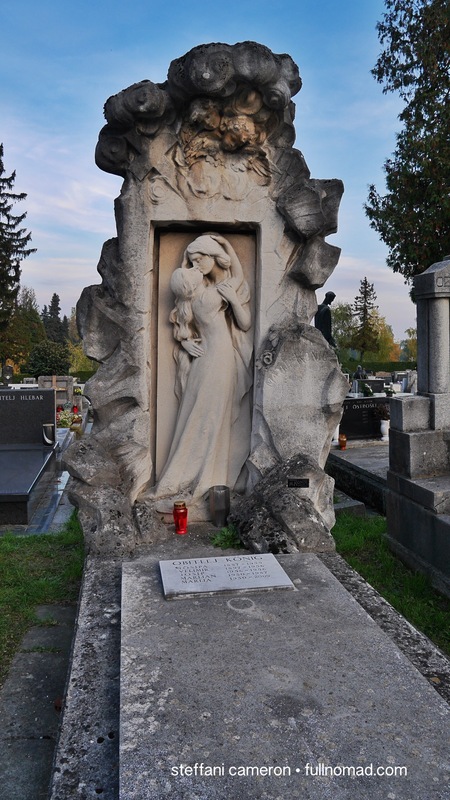 I loved this tombstone in the amazing Mirogoj cemetery. “Sprawling grounds” is an understatement. What’s my final take on Zagreb, before I sign off here for the night? It’s a city that’s doing a lot of growing and a lot of changing. It may have an old population, but it also has a lot of young folks who think it’s time to change up the game. The middle-aged and youthful Croats are seeing the world and getting influenced by other cultures and mass media, and they want more than just what’s there. 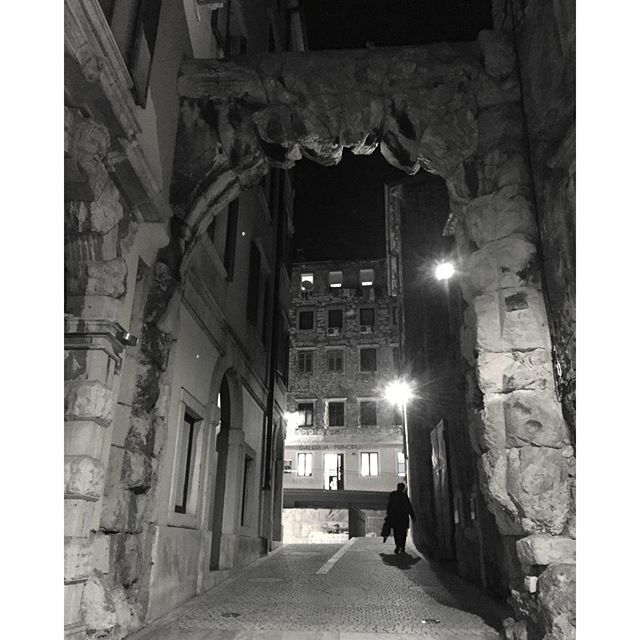 But then there’s a thousand years of history, if not more, all seeping through the ground and buildings. There’s a worn-down look in some of the buildings from the last two centuries that suggests a hard climate, a beaten economy, and a willingness to ride it all out. 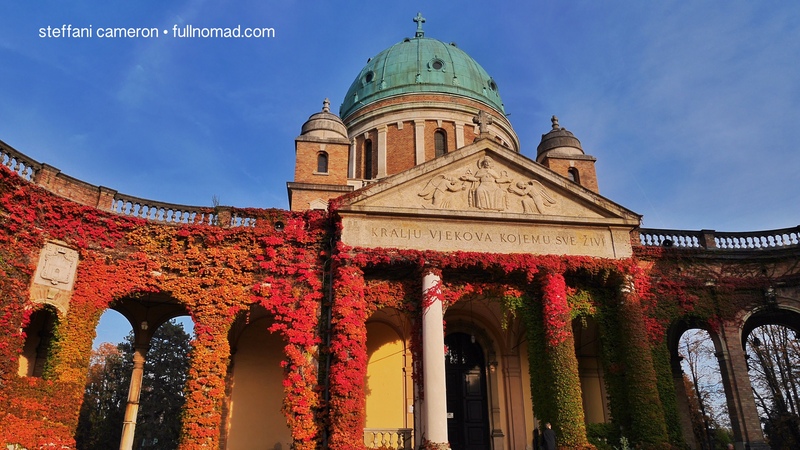 Culturally, the town is packed with public art, amazing places to see, like Mirogoj Cemetery, and more. 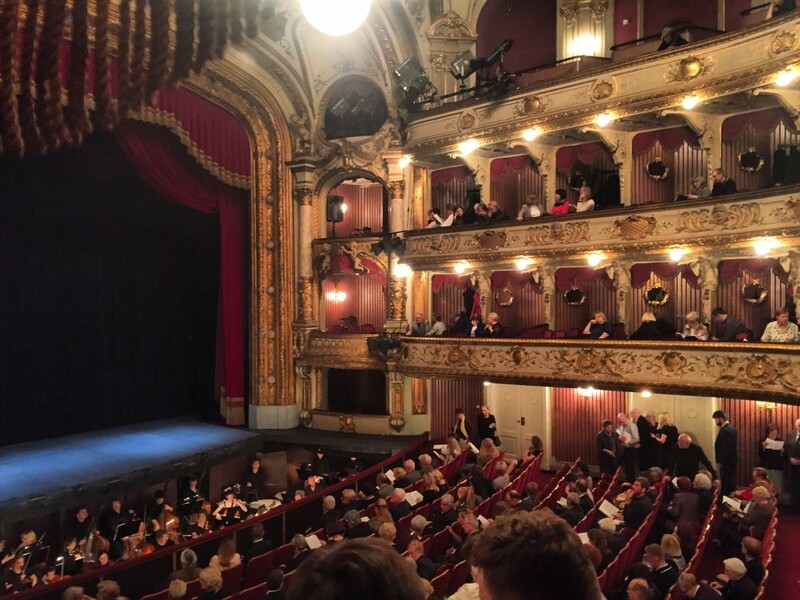 I saw some opera at the Croatian National Theatre Zagreb for a paltry $40 for a box seat. Food-wise, it’s on the rise with some great places and has a lot of promise for the future, too. 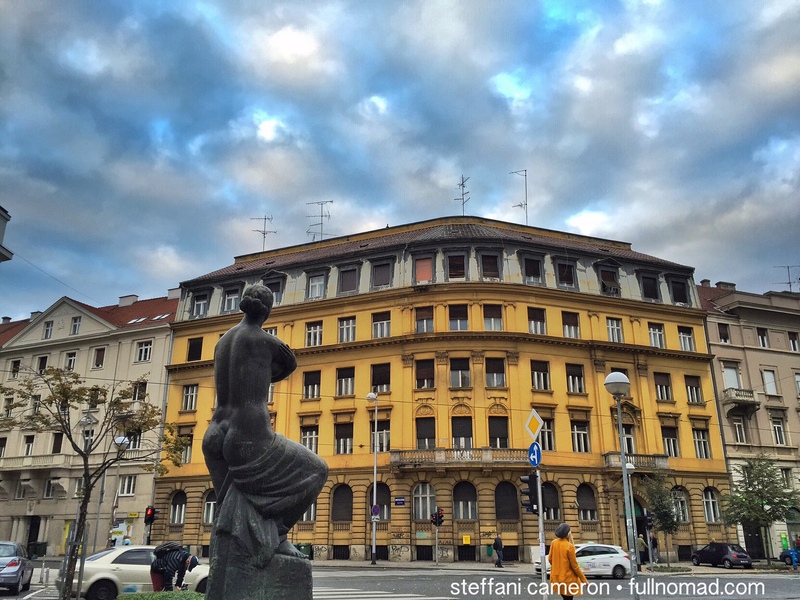 I’d like to revisit Zagreb in a couple years, see where it’s gotten to. Folks in the know tell me it has changed from a drab, dull place just a decade ago to an invigorated town with a lot of optimism for new and creative ventures. 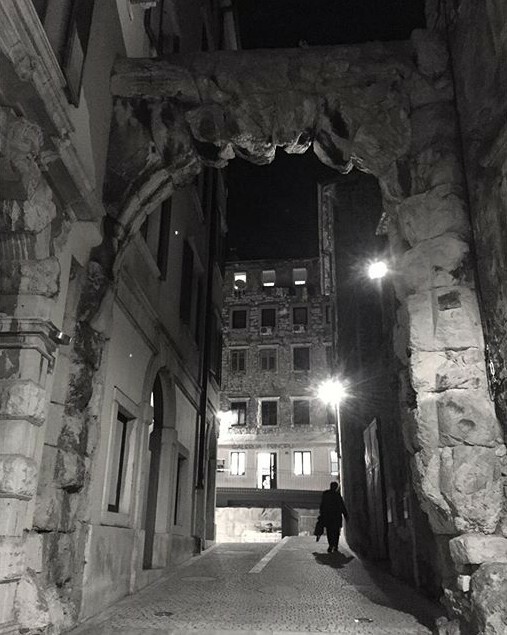 I forgot my camera here in Rijeka, so this is a 2000-year-old Roman gate shot with my iPhone. Next week, I’ll tell you about my Rijeka and Krk travels. Stay tuned! Yeah. That’s what I need now. I have high expectations for my November. Something tells me those expectations are well-placed. Seeya on the flipside. You’ll hear more about Rijeka and Krk early next week! Have a wonderful trip,good luck in KnK. Love reading your adventures. Love reading your adventures. Im still catching up on your Twitter (due to work hours) but had no idea that your jacket was taken/lost or any of the mishaps beyond the one AirBnB that had some sort of problem (now I find from this that it was cockroaches… yikes!). Overall, you got the right attitude for travel — a mix of assertion for handling what comes your way but, at the same time, an ability to surrender and let some things just happen as part of the overall journey.